Dwayne Croft as Harold Hill in The Glimmerglass Festival's production of The Music Man. Elizabeth Futral as Marian Paroo with Aria Maholchic as Amaryllis in The Glimmerglass Festival’s production of The Music Man. Left to Right: Eric Bowden, Adam Bielamowicz, John David Boehr, and Derrell Acon as The Quartet in The Glimmerglass Festival's production of The Music Man. Dwayne Croft as Harold Hill with members of the ensemble in The Glimmerglass Festival's production of The Music Man. The ensemble of The Glimmerglass Festival's production of The Music Man. Andrea Carroll as Julie Jordan and Deborah Nansteel as Nettie Fowler in The Glimmerglass Festival's 2014 production of Rodgers and Hammerstein's Carousel. Carolina M. Villaraos as Louise in The Glimmerglass Festival production of Rodgers and Hammerstein's Carousel. Ryan McKinny as Billy Bigelow and Andrea Carroll as Julie Jordan in The Glimmerglass Festival's 2014 production of Rodgers and Hammerstein's Carousel. The Glimmerglass Festival production of Rodgers and Hammerstein's Carousel. Preston Martin and Sofia Jean Gomez in the New Ohio Theater production of P. S. Jones and the Frozen City. Photographed for The New York Times . L to R: Spencer Britten as Gee-Tar, PJ Palmer as Action, Brian Vu as Riff, Tucker Reed Breder as Big Deal, Andrew Ryan as A-Rab and Tyler Whitaker as Baby John in The Glimmerglass Festival's 2018 production of Bernstein's West Side Story. Amanda Castro as Anita and Corey Bourbonniere as Bernardo in The Glimmerglass Festival's 2018 production of Bernstein's West Side Story. Vanessa Becerra as Maria and Joseph Leppek as Tony in The Glimmerglass Festival's 2018 production of Bernstein's West Side Story. Amanda Castro as Anita in The Glimmerglass Festival's 2018 production of Bernstein's West Side Story. Vanessa Becerra as Maria and Joseph Leppek as Tony with members of the ensemble in The Glimmerglass Festival's 2018 production of Bernstein's West Side Story. The Cygnet Theatre world premiere production of The Wind and the Breeze by Nathan Alan Davis. The Cygnet Theatre production of Taylor Mac’s HIR. (L-R) Amaiya Holly and Noël Simoné Wippler in the Cygnet Theatre production of Marie and Rosetta. 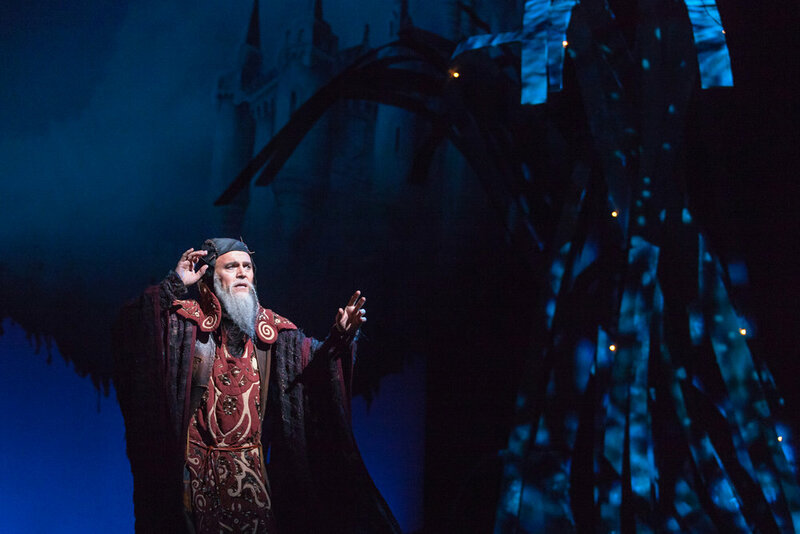 Wynn Harmon as Merlyn in The Glimmerglass Festival production of Camelot. 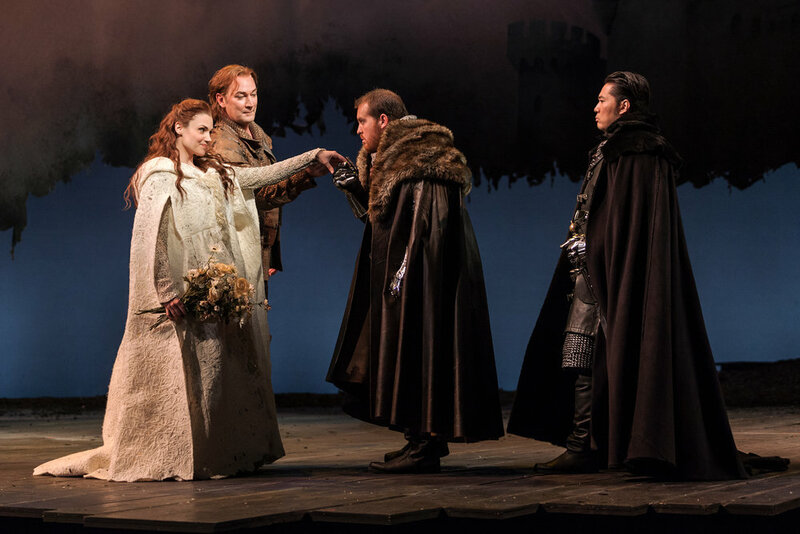 L to R: Andriana Chuchman, David Pittsinger as King Arthur, Clay Hilley as Sir Dinaden and Wayne Hu as Sir Sagramore in The Glimmerglass Festival production of Camelot. 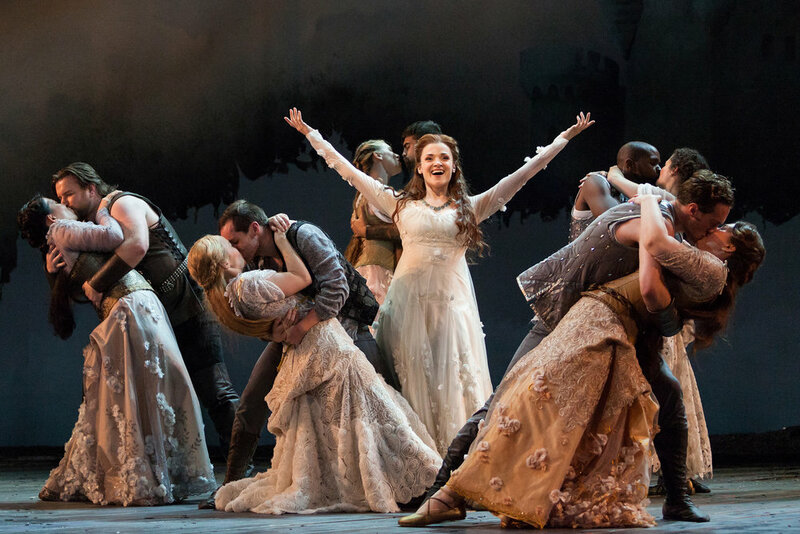 Andriana Chuchman as Guenevere (center) with members of the chorus in The Glimmerglass Festival production of Camelot. Nathan Gunn as Lancelot and Andriana Chuchman as Guenevere in The Glimmerglass Festival's 2013 production of Camelot. Signature Theatre’s production (2012) of August Wilson's The Piano Lesson. (Left to right) Chuck Cooper, Brandon J. Dirden, Jason Dirden, and James A. Williams. Photographed for The New York Times. Roslyn Ruff as Berniece in the Signature Theatre’s production (2012) of August Wilson’s The Piano Lesson. Photographed for The New York Times. Eric Lenox Abrams as Avery and Roslyn Ruff as Berniece in Signature Theatre’s production (2012) of August Wilson’s The Piano Lesson. Photographed for The New York Times. 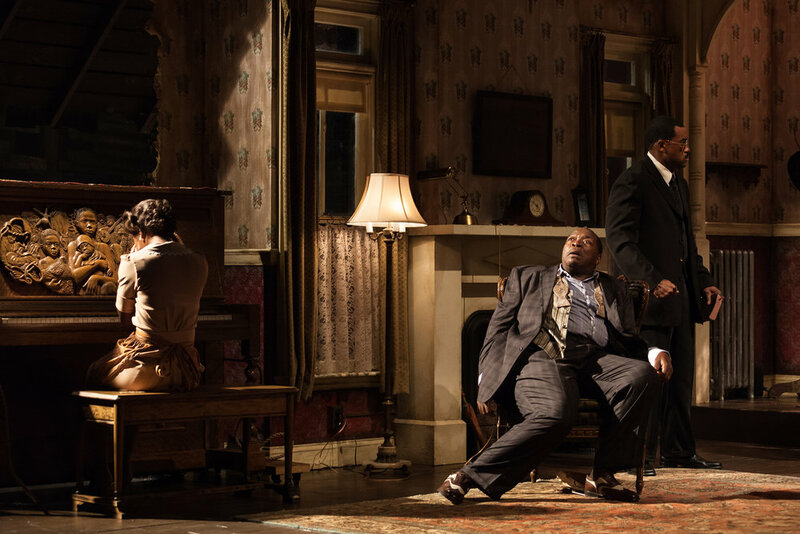 The Signature Theatre production (2012) of August Wilson's The Piano Lesson. Chuck Cooper, center, Eric Lenox Abrams and Roslyn Ruff, at the piano. Photographed for The New York Times. The MCC Theater production of Don't Go Gentle. (Left to right) David Wilson Barnes, Maxx Brawer, Angela Lewis, and Michael Cristofer. Photographed for The New York Times. 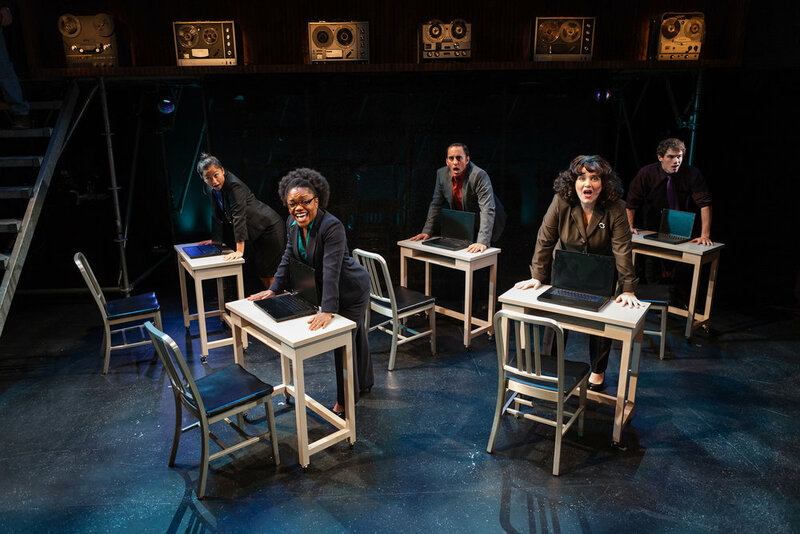 The Prospect Theater Company's production (2012) of Working: A Musical at 59E59 Theaters. Photographed for The New York Times. Claire van der Boom as Karen, with Theo Stockman as Danny, in the premiere of David Rabe’s play An Early History of Fire at The New Group. Photographed for The New York Times. Gordon Clapp in the premiere of David Rabe’s play An Early History of Fire at The New Group. Photographed for The New York Times. Claire van der Boom as Karen and Theo Stockman as Danny, in the premiere of David Rabe’s play An Early History of Fire at The New Group. Photographed for The New York Times. Leslie Uggams, center, as Fauna in the City Center Encores! production of Rodgers and Hammerstein musical Pipe Dream. Photographed for The New York Times. Zeljko Ivanek and Sarah Steele in the Lincoln Center Theater production of Slowgirl by Greg Piece. Photographed for The New York Times. 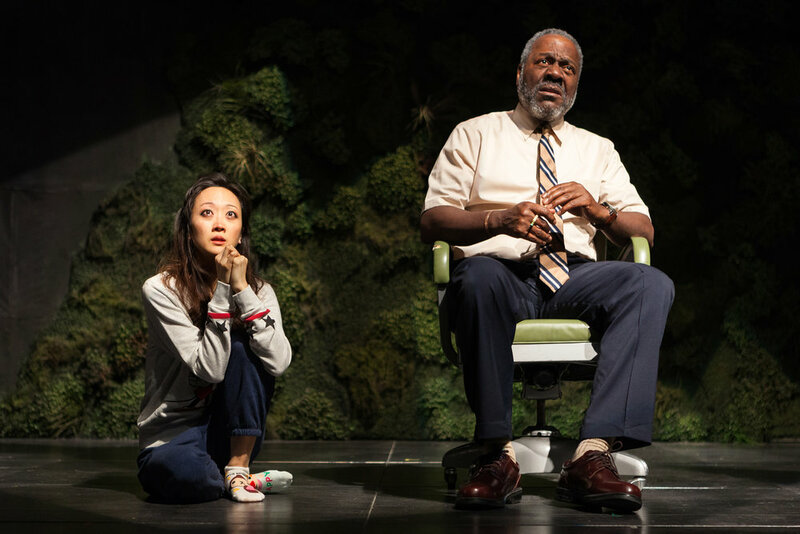 Frankie Faison and Sue Jean Kim in the Second Stage Theater production of Water by the Spoonful. Photographed for The New York Times. 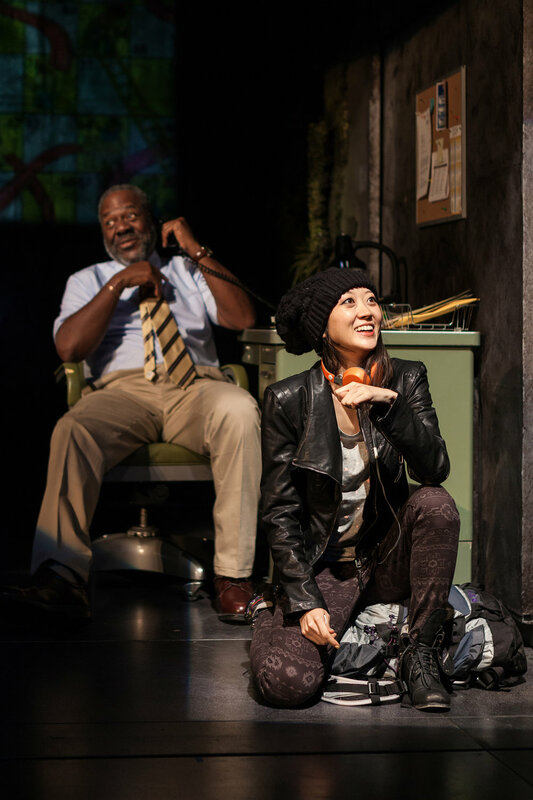 Sue Jean Kim and Frankie Faison in the Second Stage Theater production of Water by the Spoonful. Photographed for The New York Times. Armando Riesco and Zabryna Guevara in the Second Stage Theater production of Water by the Spoonful. Photographed for The New York Times. The Second Stage Theater production of Water by the Spoonful. Photographed for The New York Times. 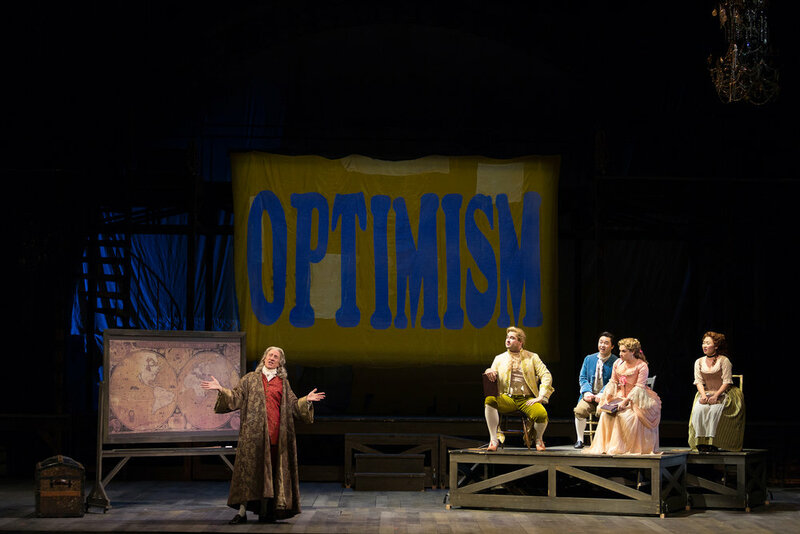 The Glimmerglass Festival production of Bernstein's Candide. 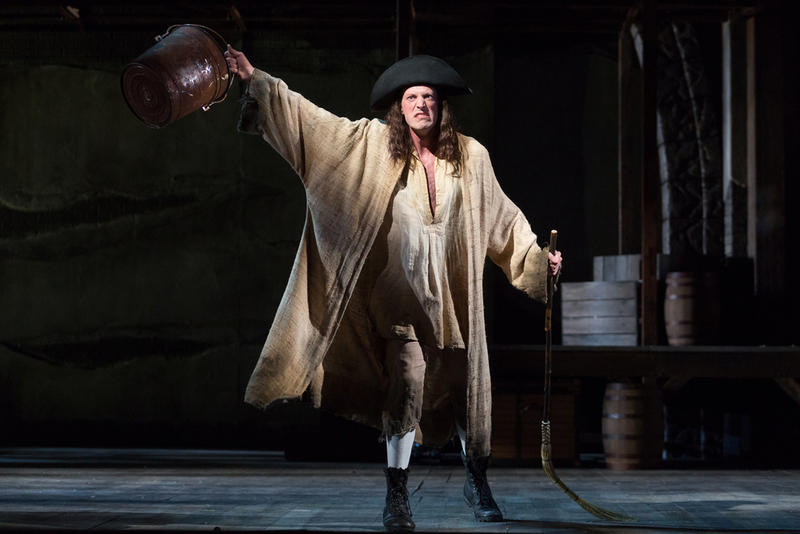 David Garrison as Voltaire in The Glimmerglass Festival production of Bernstein's Candide. Andrew Stenson as Candide and Andrew Maughan as Cacambo in The Glimmerglass Festival production of Bernstein's Candide. David Garrison as Pangloss in The Glimmerglass Festival production of Bernstein's Candide. Kristen Choi as Paquette and David Garrison as Pangloss in The Glimmerglass Festival production of Bernstein's Candide. Matthew Scollin as Martin in The Glimmerglass Festival production of Bernstein's Candide. 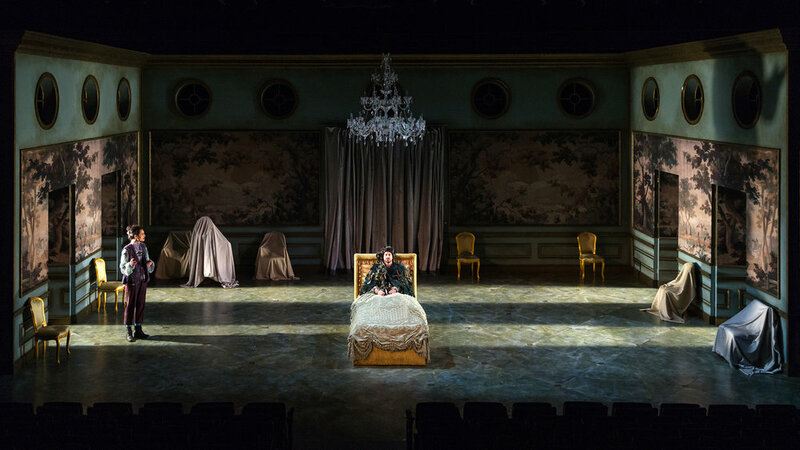 New York University’s production of William Shakespeare’s All’s Well That Ends Well. Harry Greenleaf (left) as Anthony Hope and members of the ensemble in The Glimmerglass Festival's production of Stephen Sondheim's Sweeney Todd. Greer Grimsley in the title role Luretta Bybee as Mrs. Lovett in The Glimmerglass Festival's production of Stephen Sondheim's Sweeney Todd. Harry Greenleaf as Anthony Hope and Peter Volpe as Judge Turpin in The Glimmerglass Festival's production of Stephen Sondheim's Sweeney Todd. Luretta Bybee as Mrs. Lovett and Greer Grimsley in the title role of The Glimmerglass Festival's production of Stephen Sondheim's Sweeney Todd. Nicholas Nestorak (right) as Tobias Ragg and members of the ensemble in The Glimmerglass Festival's 2016 production of Stephen Sondheim's Sweeney Todd. Judith Skinner as Aunt Eller in The Glimmerglass Festival's 2017 production of Rodgers and Hammerstein's Oklahoma! Jarrett Ott as Curly and Vancessa Becerra as Laurey in The Glimmerglass Festival's 2017 production of Rodgers and Hammerstein's Oklahoma! Tucker Reed Breder as Mike (center) and members of the company in The Glimmerglass Festival's 2017 production of Rodgers and Hammerstein's Oklahoma! 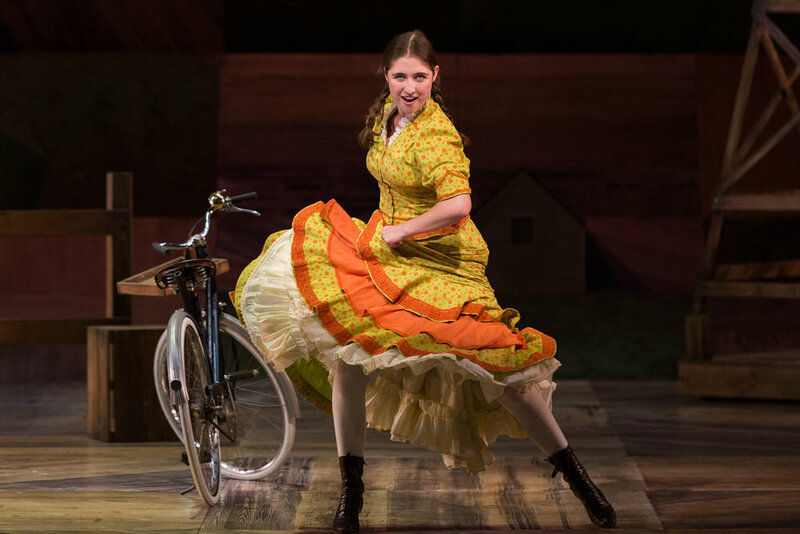 Emma Roos as Ado Annie Carnes in The Glimmerglass Festival's 2017 production of Rodgers and Hammerstein's Oklahoma! Judith Skinner as Aunt Eller and Michael Roach as Will Parker in The Glimmerglass Festival's 2017 production of Rodgers and Hammerstein's Oklahoma! 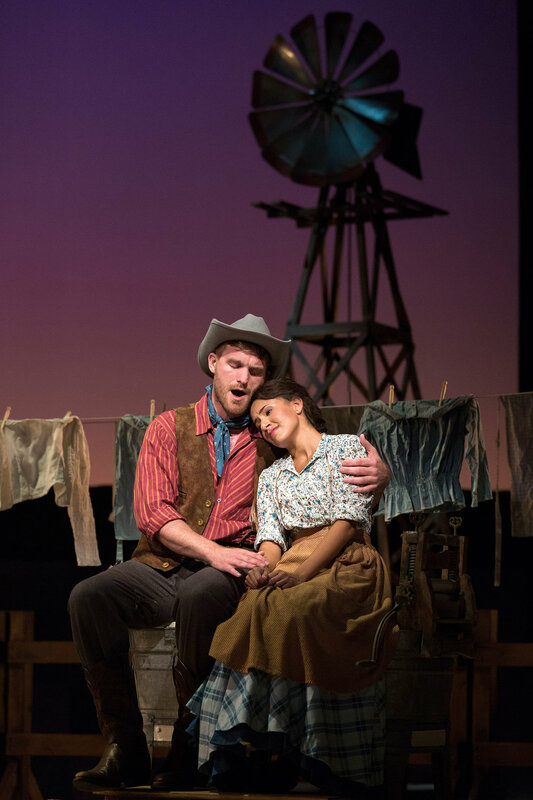 Vanessa Becerra as Laurey and Jarrett Ott as Curly in The Glimmerglass Festival's 2017 production of Rodgers and Hammerstein's Oklahoma! Michael Hewitt as Jud Fry in The Glimmerglass Festival's 2017 production of Rodgers and Hammerstein's Oklahoma!